New Arrival !! 1 Owner !! Florida Car !! Loaded With Options !! 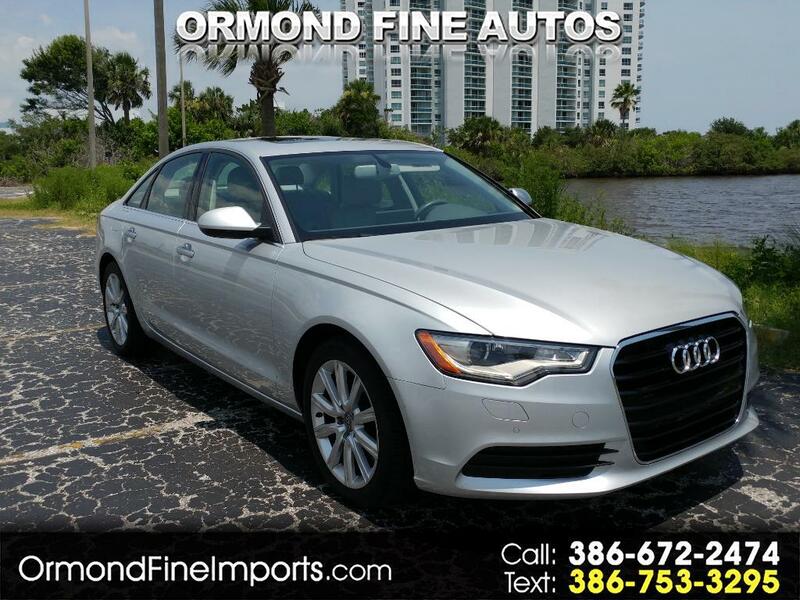 The 2015 Audi A6 has excellent driving dynamics, a welcoming interior, masterful engines and technology aplenty. It's one of our favorite midsize luxury sedans. Finely finished interior with generous passenger space; top crash-test scores; sporty handling.!! What makes the A6 such an excellent choice? Credit Audi's exacting standards across the board. The engines deliver exemplary refinement and performance that feels stronger than the numbers suggest !! Standard equipment for the 2.0T Premium includes 18-inch wheels, Audi Drive Select (providing adjustable modes for steering, gas pedal and transmission response), automatic xenon headlights, LED running lights and taillights, automatic wipers, auto-dimming mirrors, a sunroof, tri-zone automatic climate control, heated eight-way power front seats (includes four-way lumbar adjustments), driver memory settings, leather upholstery, Bluetooth phone connectivity, Audi's MMI electronics interface, a 6.5-inch display screen and a 10-speaker sound system with a CD player, satellite radio and an iPod interface. Also standard is Audi's Pre-Sense Basic safety system. The 2.0T Premium Plus adds front and rear parking sensors, a rearview camera, a blind spot monitoring system, Pre-Sense Rear, power-folding exterior mirrors, keyless ignition and entry, an 8-inch display screen, a voice-activated navigation system, a rearview camera, HD radio, Bluetooth audio connectivity, an upgraded version of MMI with an enhanced controller and Audi Connect (featuring Google Earth integration, Google-powered search functions, smartphone app integration and WiFi hotspot capability).